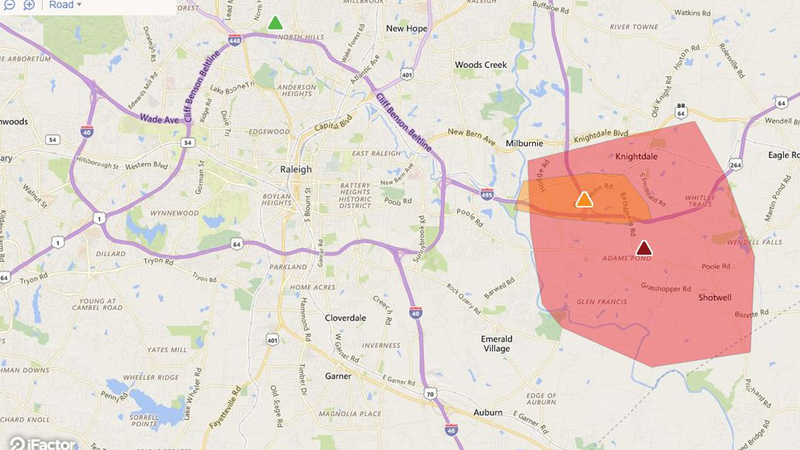 KNIGHTDALE, North Carolina (WTVD) -- More than 7,000 Duke Energy customers in the Knightdale and Shotwell were without power Saturday night. Duke Energy says the outage was caused by damage to their equipment. The company has power restored to most customers just before 10 p.m.